$3800 | $1900 | Call! $4540 | $2270 | Call! $4800 | $2400 | Call! $5800 | $2900 | Call! 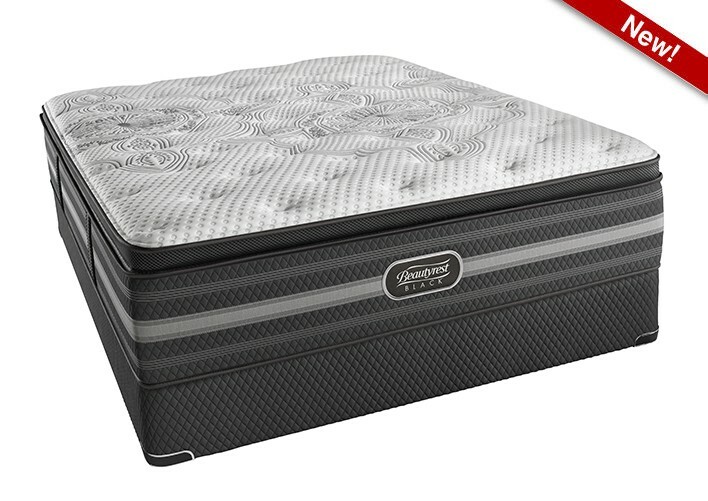 The New Simmons Beautyrest Black Katarina Luxury Firm Pillowtop Mattress is backed by a 10-year warranty and features all of Simmons newest technologies. The Beautyrest Black Katarina Luxury Firm Pillowtop provides one of the best values for anyone looking for a mattress that is firm underneath but soft and luxurious on top. If you are looking for a mattress that provides superior pressure relief but is soft and comfortable to the touch this mattress would be a great choice. Categories: Beautyrest Black, Comfort Level 40, Mattresses, Simmons. The NEW Simmons Beautyrest Black Katarina Luxury Firm Pillowtop Mattress is more than a mattress, it’s a haven for deep, restorative sleep that inspires your senses. The Beautyrest Black experience goes beyond mere comfort. It creates a restful escape where sleep is the ultimate luxury. Advanced Pocketed Coils – You won’t find these coils in any other Beautyrest. These high-carbon steel springs are triple-wrapped, pre-compressed and placed into a durable, yet soft non-allergenic fabric individually. What that means to you is increased strength, motion separation and conformability that creates indulgent comfort to withstand the test of time. 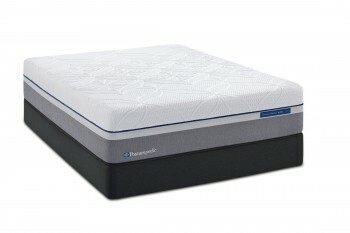 Micro Diamond Memory Foam – The thermal conductive properties of the diamond particles in the foam are designed to effectively move heat away from the body, assisting in a cool, comfortable sleep. SurfaceCool Plus Fiber – Designed to dissipate body heat away from the surface of the bed helping to keep you cool and comfortable. AirCool Gel Memory Foam – AirCool memory Foam features an open cell structure which helps dissipate heat and keep you at your ideal sleeping temperature. This unique design conforms to your body while providing pressure point relief and freedom of movement. Transflexion Comfort Technology – It is a patented process where the foams are already broken in and pre-compressed in the factory which ensures the bed won’t have false fluff and will be consistently comfortable throughout its life. Eliminates break-in periods for immediate comfort. Triton European Foundation – supports up to 2,000 lbs of pressure for long-lasting durability.